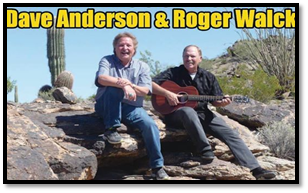 Dave Anderson and Roger Walck are ambassadors for Shepherd’s Canyon Retreat Ministry, Wickenburg, Arizona, as they bring concerts to churches across America. Their concert music ranges from traditional to contemporary music. Support from these concerts assists the ongoing work of Shepherd’s Canyon, a ministry that offers one-week retreats which specialize in renewing, reviving, and refreshing for church workers of all denominations who may be experiencing burn-out, depression, workplace/relational conflicts, and compassion fatigue. A free-will offering will be collected at the concert for this ministry.